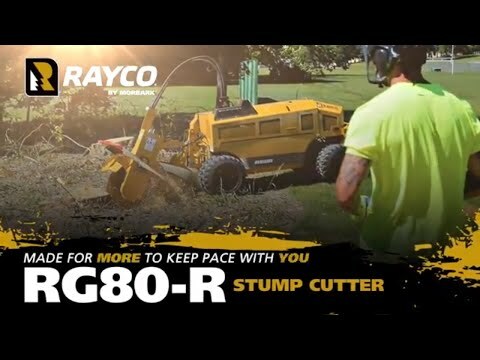 RG80-R Stump Cutter | Stump Grinders | Ohio | Rayco Mfg. 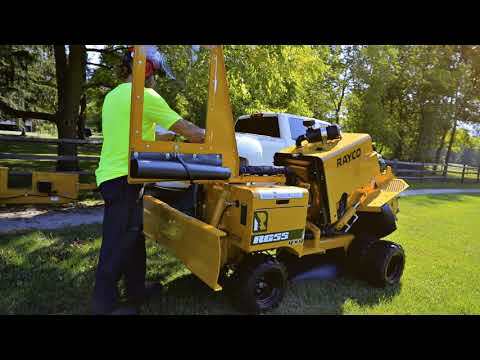 The RG80-R has a powerful 85-hp Ford engine with a hydrostatic cutter wheel drive. Command Cut lets the operator vary the swing speed independently from engine speed while maintaining maximum torque and horsepower. The propel system features Hi and Low travel speeds plus an integrated “creep mode” for precise handling while cutting. The RG80-R has a wireless remote control that is sealed against dust, water, and other elements. The wide hydraulic backfill blade saves time during clean up and can easily be folded in for passing through gates. Available with custom Rayco TRG Trailer.